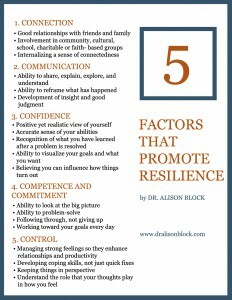 Dr. Alison Block | Can You Bounce Back? Can you bounce back…after something goes wrong, after your kids make you crazy, after a difficult phone call with a client, after a day filled with anxiety-provoking events? 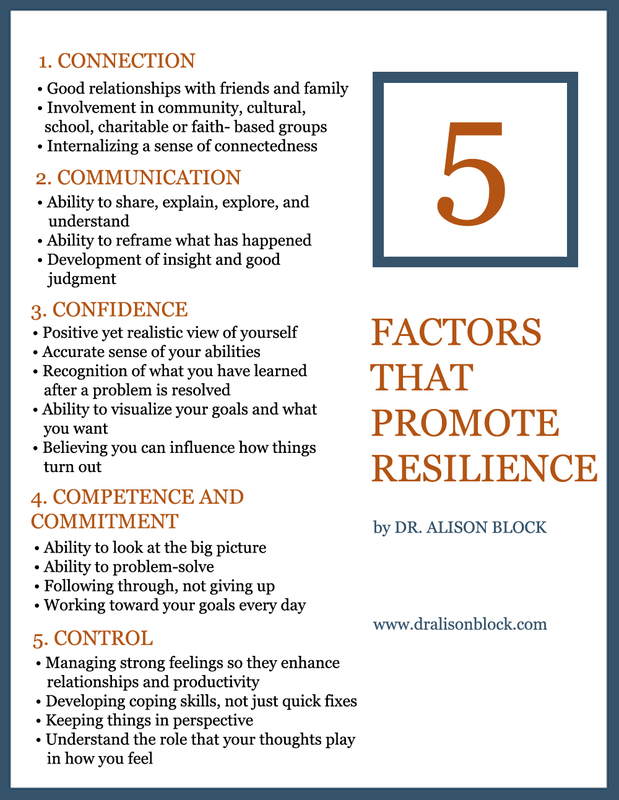 The ability to bounce back is called resilience and it is key to managing our lives with strength and skill. Many of us are so busy trying to achieve, trying to manage our children’s lives, trying to be the best at what we do, that we feel we are in a perpetual state of stress. If we do not come down from that state, we burn out. So what does bouncing back really mean? 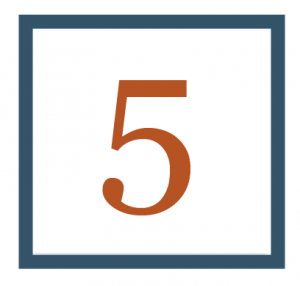 It means adjusting to change, recovering from a bad experience, adapting well in the face of adversity, and becoming strong, healthy, or successful after an unpleasant experience. -Emotional Control (managing strong feelings so that they do not interfere with what you are trying to achieve. Now, tune back in to this page for a few things that can help you Bounce Back!